Howdy everyone! Long time no type. While I have been busy with the rest of life and business I have been lamenting my lack of content here on our blog. So I am here to remedy the situation with my first ever “Official” product review. Today I will be showing you one of the newest sleeve options available from the ever popular Ultra Pro brand. I am known to be rather picky with my sleeves, and usually prefer the tried and true Dragon Shield Matte as my go to. When I saw that Ultra Pro had released this new line, I had to give them a shot. As you can see from the packaging, the Standard size come in packs of 80 sleeves. You can also get your hands on 60 count packages of the Smaller Yu-Gi-Oh! sized sleeve. The biggest thing to note about these sleeves and the whole reason I even decided to review them is their black interior sleeve portion. It is advertised as a feature to make the sleeves completely opaque. 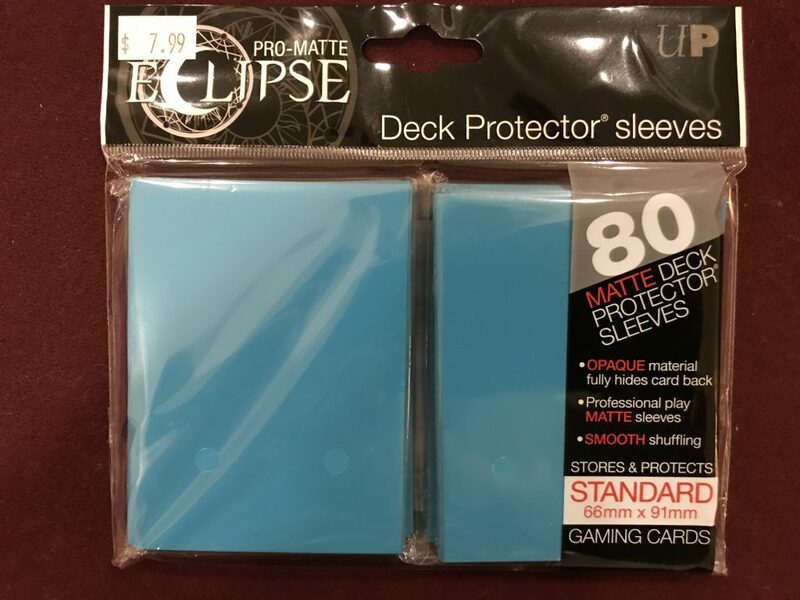 Where most sleeves are a solid color both front and back, these Eclipse sleeves are not. I have taken some pictures comparing the difference between these and standard Dragon Shield Matte sleeves to show off this unique feature. 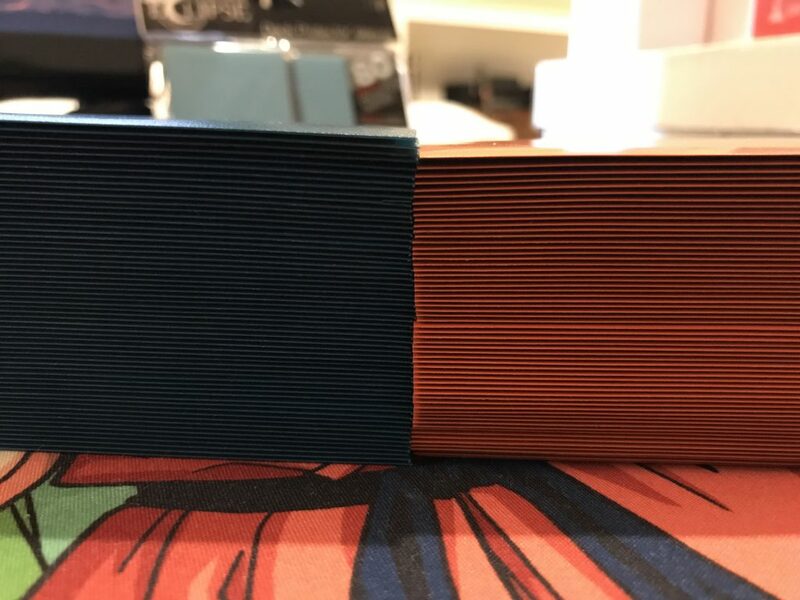 I took my Standard MTG deck and sleeved them in both Dragon Shield Matte and Ultra Pro Eclipse Pro-Matte to highlight their differences. Here is a quick rundown of each of their features. DS Matte – Textured “Matte” Backing for ease of shuffling, High Quality polypropylene plastic for extended life. 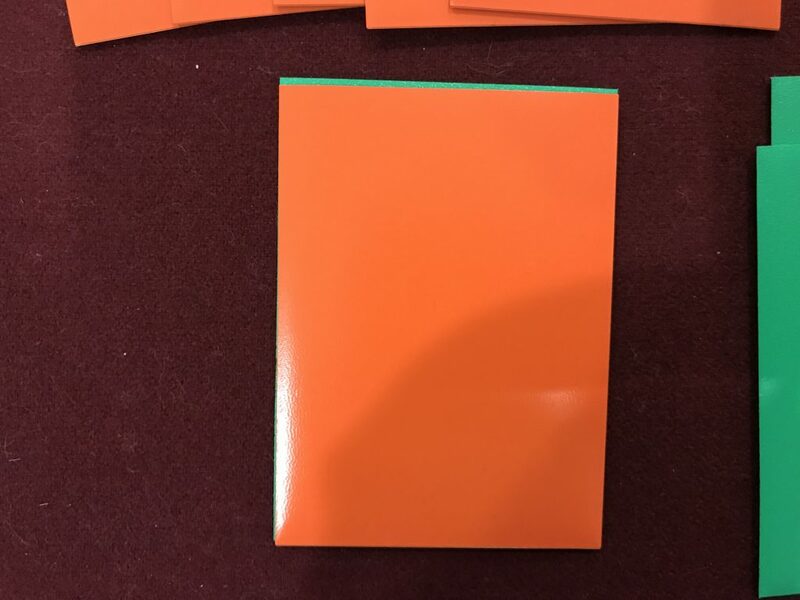 Majority of the Colors available are completely Opaque to hide card backs. Available in 100ct boxes for $10.99 MSRP. UP Eclipse – Textured “Matte” Backing for ease of shuffling, High Quality polypropylene plastic for “Archival Safe” use. Inner Black layer provides a completely opaque sleeve independent of color choice. Matte sleeve front to cut down on glare and provide an easier card reading experience. Available in 80ct packages for $7.99 MSRP. You can clearly see the Matte front on the Eclipse sleeves adds a cloudy look and cuts the glare significantly. 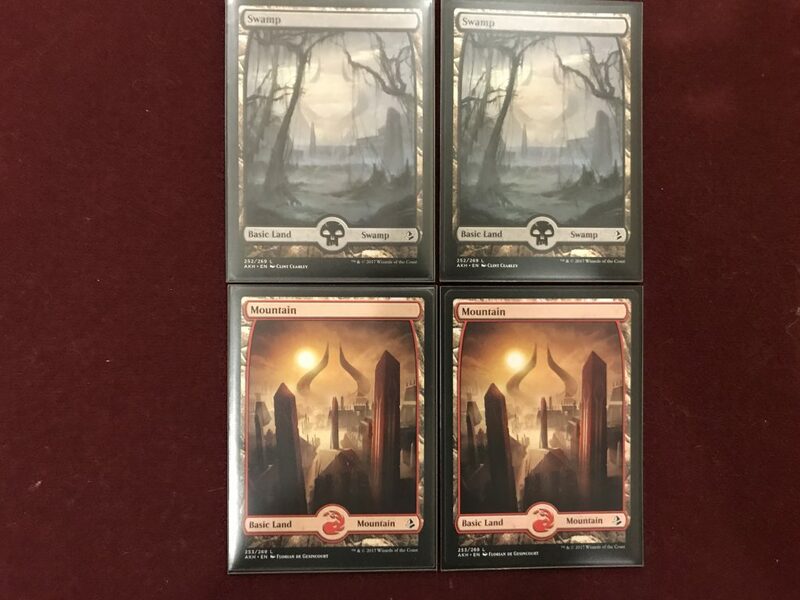 As someone who enjoys playing with foil cards, I would love to be able to purchase these sleeves without the matte front though. As I mentioned before, the inner black sleeve is the reason I wanted to try these bad boys out. I really enjoy the solid black border around the cards without having to sacrifice having a nice vibrant back of the sleeve. Before the only way to accomplish this was to play with black sleeves or at least a very dark and muted color (think chocolate brown). So to remedy this situation you could remove your perfect fit sleeves to make them sit lower but I do not think you are risking damaging your cards by keeping them on. There is significant clearance that I would not personally be worried about keeping them double sleeved. Here is the difference with and without a perfect fit sleeve though – Left column is double sleeved, the right side is not. The Ultra Pro sleeves all together feel great. They shuffle well thanks to that textured back, a feature I specifically enjoy about the Dragon Shields. There is a slight height difference as mentioned before, and I personally felt that they seemed a bit shorter in width and thickness as well but not to a degree that should significantly impact your shuffle. All in all, these sleeves are a great pickup. If you have ever used an Ultra Pro sleeve, you know what you are getting into, but I would say that these feel like a higher quality sleeve than their norm. Only time will tell if they can withstand the abuse of long-term shuffling like the Dragon Shields do, but they preform very well so far. The texture on the back of the Dragon Shields is a bit more heavy duty (rough) which I think will lead to a longer life span of easy shuffling, but the Ultra Pros do feel significantly better than their own brands predecessors. 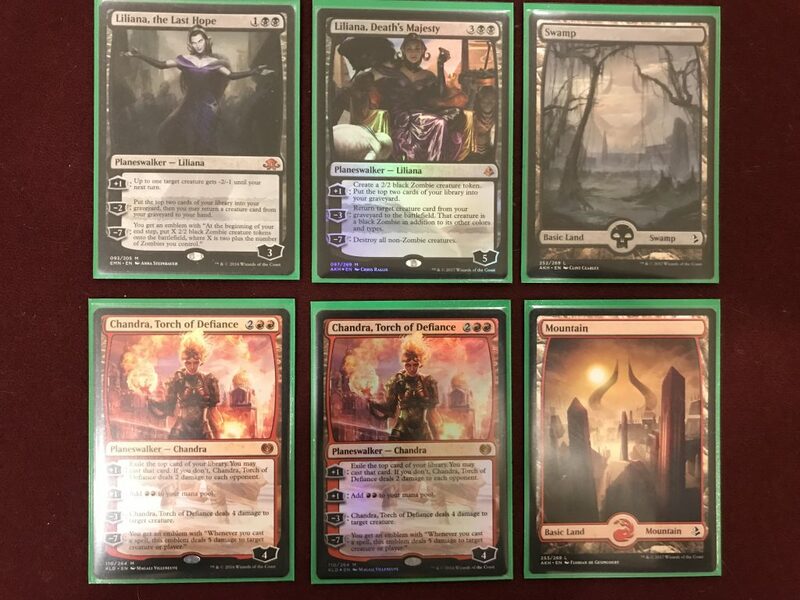 I do wish they came in packs of 100 so I could sleeve up my Commander deck without having to buy two packages, but they are great for any of the 75 card formats. The inner black sleeve really makes the cards look great while being used on table. The color choices are your standard fare Ultra Pro line colors but without all of them available at the moment. I expect that they will expand the line eventually (hopefully one without a matte front) to include more of their colors. That about wraps it up for me here! I hope this review was helpful and if you have any comments or suggestions please let me know below. EDD is a 31 year old Magic fan and part time blogger at The End Games. 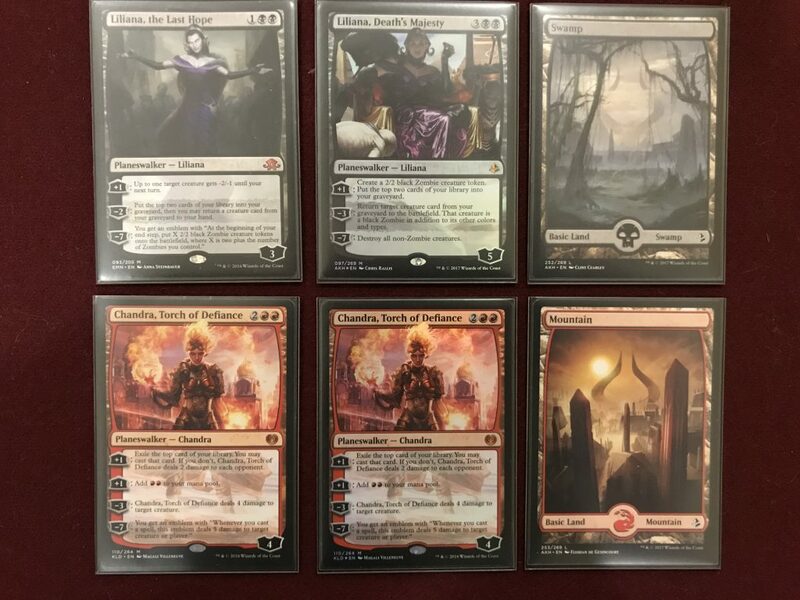 This entry was posted in Articles, New Product, Store News and tagged Dragon Shield, Eclipse, MTG, Review, Sleeves, teglife, The End Games, Ultra Pro. Bookmark the permalink. 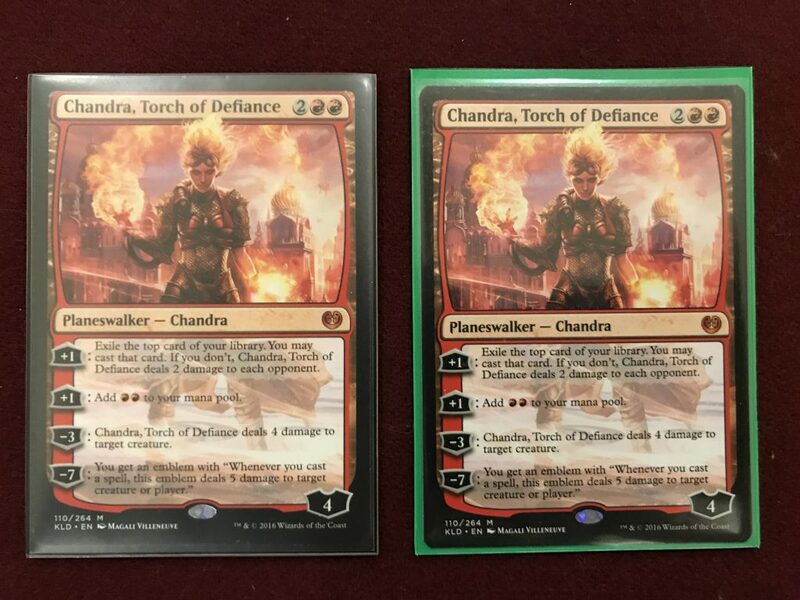 After using these sleeves at GP Richmond, I am really happy with them. I’ve used them single sleeved in Sealed, and double sleeved in side events. The shuffle feel is great. The feel softer than Dragon Shields. They are also more durable in rough shuffling than I have even found with Dragon Shields, especially when shuffling cards facing different directions. I agree I would rather buy packs of 100 rather than 80, but if my only problem is I want to buy more of them, then I’m pretty happy with these sleeves. I love everything about the UP except the dang front. It mutes my foils so badly I’m going back to DS. Maybe they will fix in future, or at least provide both options.